We’re effectively in the middle of the two Vallelunga six hour races: the Silver Cup for touring cars was last weekend, and the Gold Cup for prototypes and GTs is this coming weekend (November 19). Peter Hardman and (Team Modena DBR9 owner) Nick Leventis were victorious in the touring car race in a BMW M3, coming home ahead of the Duller Motorsport BMW of Luca Cappellari / Lilian Bryner / Enzo Calderari. Heavy rain characterised the opening phase of the race, but a dry track at the end saw Peter Hardman get the better of the Duller M3. There are also many familiar names lining up to race this Sunday. 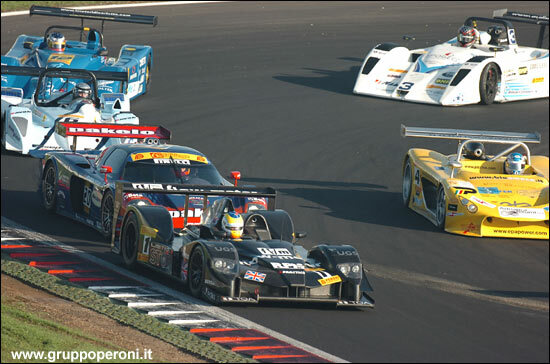 Some of the notable names, and cars, in the Gold Cup entry include the Promec LMP900 (last seen at Monza in 2005 - Alex Caffi again driving), Audisio and Benvenuto (a Sports Racing World Cup team from the past) with a Courage C65, former FIA GT racer Michele Merendino in a Lucchini, Fabrizio de Simone in a 430 GT2, Pedro Lamy in a Racing Box Maserati MC12... the list goes on and on. And there are almost as many classes as there are cars. The Lister LMP1 was heading for the win last year, until suspension failure intervened in the last hour, leaving the win to the MC12. Cipriani Motorsport BALDI David - BACCARELLI Leonardo - TBA, Lucchini A.R. Star Team VITA Filippo - MERENDINO Michele * TBA, Lucchini A.R.